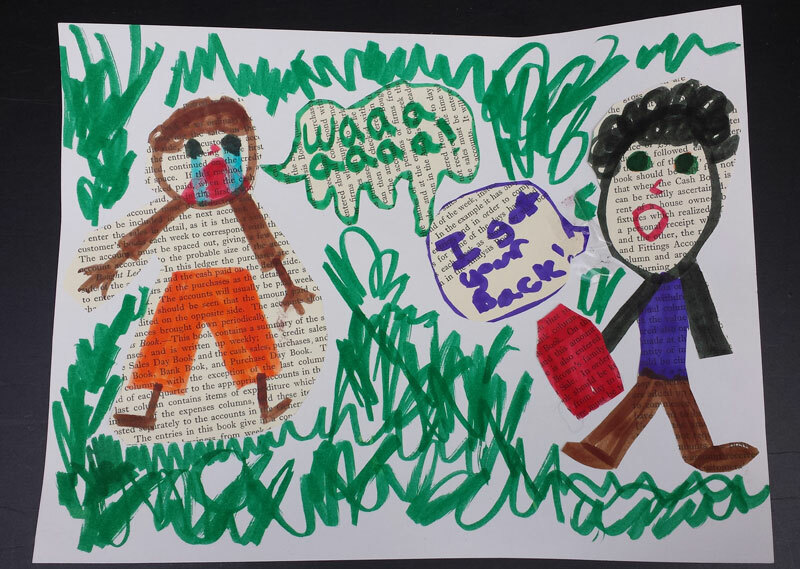 Drumroll, please…We’re proud to announce the winners in this year’s UNBOUND Book Art & Craft Contest! 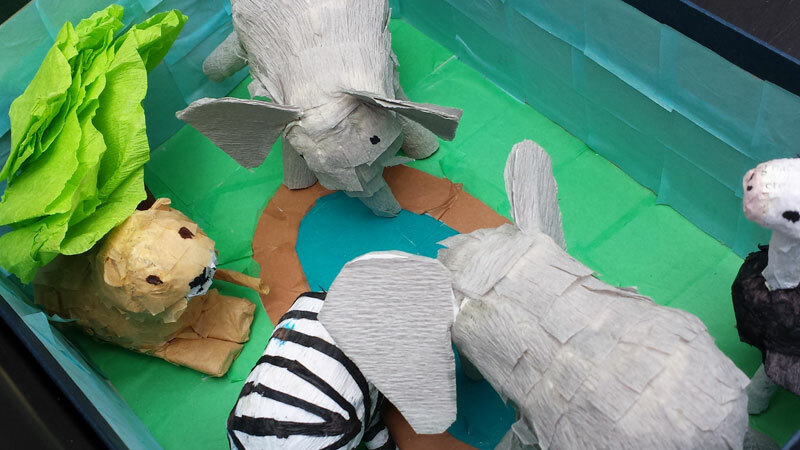 First place in the Adult category goes to Adriana Worley, who charmed the judges with her detailed “African Savanna: The Watering Hole.” Her miniature piñatas of a lion, a zebra, ostriches and elephants, made from a salvaged book that was chewed by mice, look like they’re ready to step out of the shoebox and stroll around the savanna. 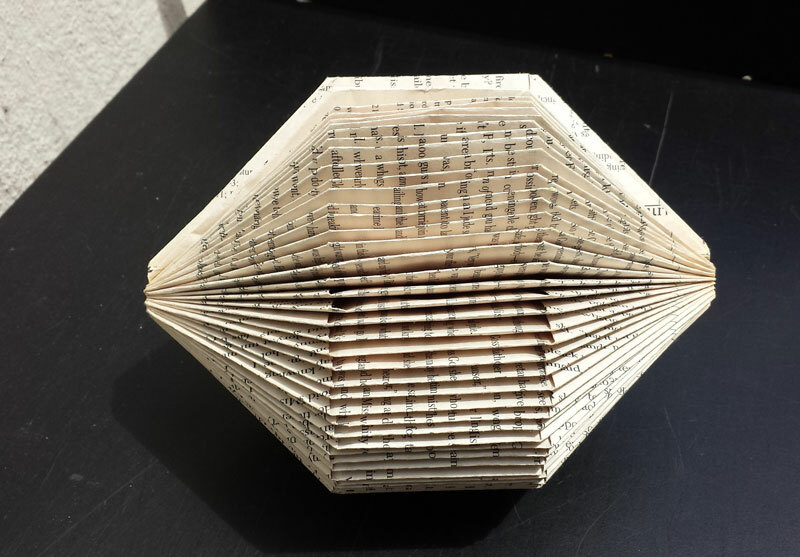 Second place in the Adult category goes to Audrey Larsen, whose “Diamond in the Rough” is made from a book folded and “polished” into a gem. We didn’t receive a single teen entry (teen artists, where are you? ), so we reconfigured the children’s category into children (5-9) and pre-teens (10-12). 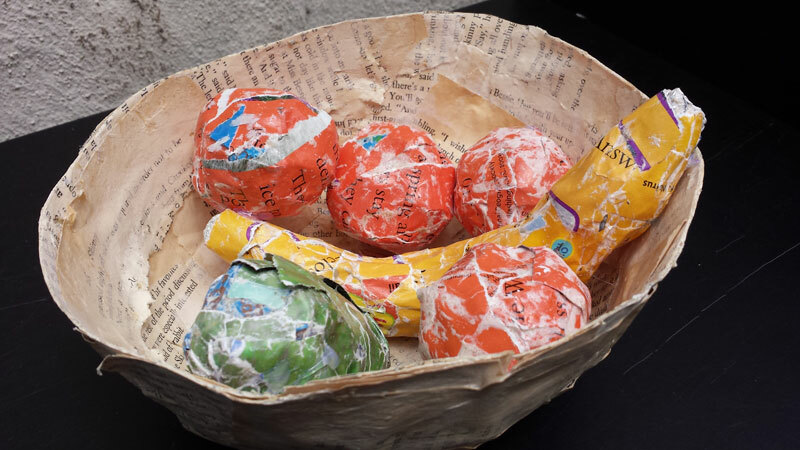 First place in the Pre-teen category goes to Aisling B.’s “Bowl of Words,” a papier mâché bowl of fruit using the colors of the book pages to color the fruit. Taking second place in the Pre-teen category, Cate Q. made the judges laugh with her “I Got Your Back!” pun, made, appropriately, from The Book of Back Health. 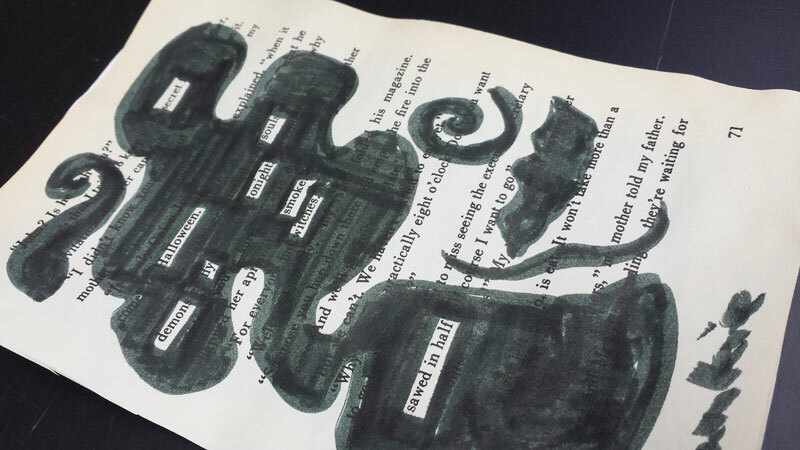 Third place in the Pre-teen category goes to Frankie P.’s spooky, swirly Halloween blackout poetry. 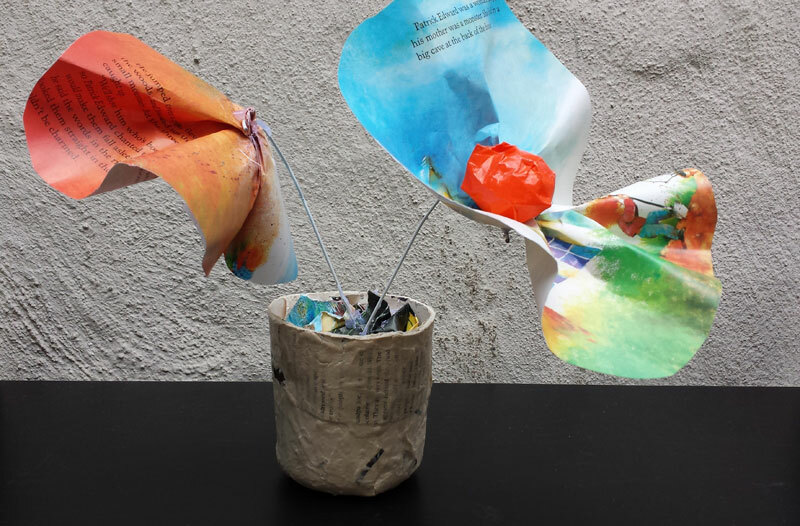 In the Children’s division, Edain B. captured first place with “The Seeds of Reading,” a papier mâché pot of riotously colorful flowers. 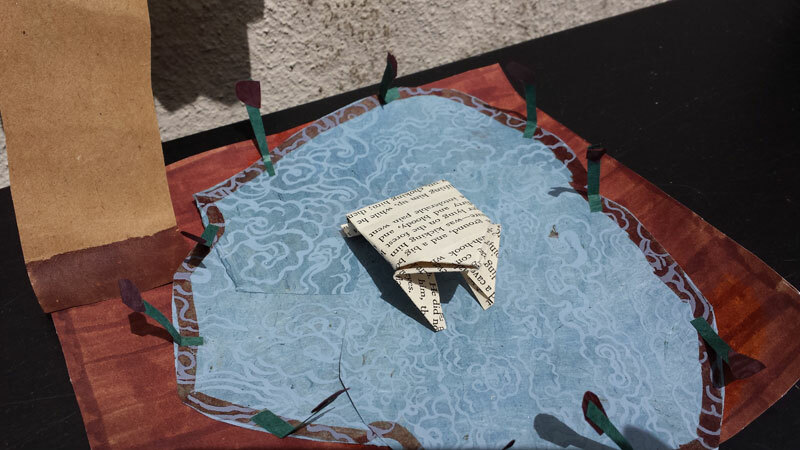 Second place in the Children’s category goes to Charlotte F.’s “Frog Pond,” a detailed scene with cattails, a tree and an origami frog. Third place in the Children’s category goes to Miriam R. and Beryl R., a granddaughter-grandmother team, for their “Cooking Outside the Book” project, which added drawings of cooking tools and favorite foods to a children’s cookbook. 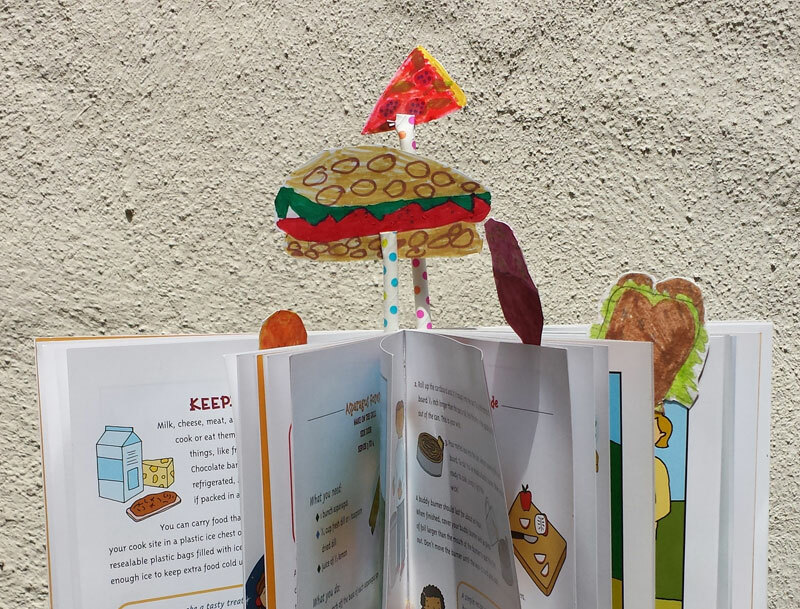 You can find more photos of all these winning entries over on our Book Craft Pinterest board. Winners, a big congratulations to you all, and we’ll be in touch with you soon about prizes. Thank you to everyone who entered. We’re working on arranging an exhibit of the entries – if you have a lead on a store window that might be willing to host us for a month or so, please let us know! 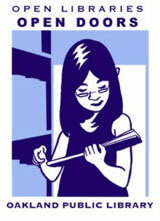 And last but not least, a final shout-out to the super-cool Out of Print and Chronicle Books for donating prizes!